We currently have over 200 Therapy Team volunteers. Our members are a dedicated group of volunteers active in a myriad of dog training and competition venues in addition to their pet therapy work, community and religious group involvement, and social and professional endeavors. Read below what some of our members have to say about the work they do. Learn from our volunteers what we do, and how we do it, but most importantly why we do it. Starla, Sophie and I began our volunteer work with TPGC in 2010 following my retirement from a career in education. The girls are biological sisters who are now 13 years old. Although they have slowed down a little they still love to work with the children's reading groups at Mason Early Childhood Center, the Mason Public Library and the West Chester Public Library. 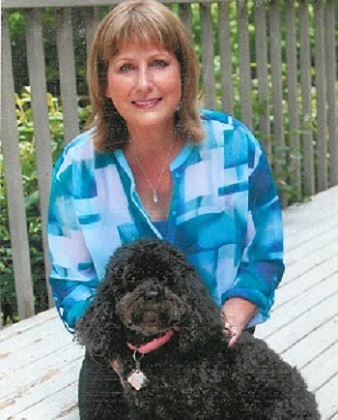 Some of our special memories include Starla's work helping little kids overcome their fear of black dogs; and both Sophie's and Starla's gentle, sweet nature that helps children develop confidence in their reading skills and understanding of dogs. 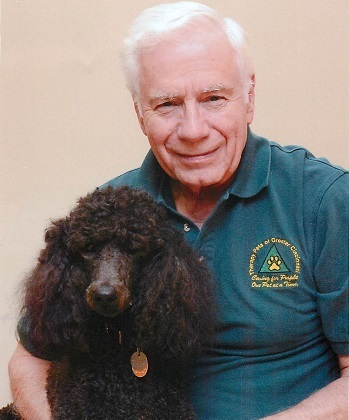 Finally, over the past 7 years we have met many wonderful dogs and their handlers as well as many grateful parents and teachers who feel the dogs have made a difference in the children's educational and personal development. Brutus is a 7 year old Golden Doodle. We have been a therapy team for 4 years. We just passed our 3D evaluation, so we are starting our 5th year of therapy work. I am a retired advertising executive, and Brutus and I live in Lebanon with my wife, cat, and Jack Russel Terrier ,Ziggy. We make 4 visits each week, all in Lebanon. We visit Alzheimer’s patients at Otterbein Retirement Center, Arrowsprings Tri-health Medical Center , and we visit special needs classes at both the high school, and at Bowman elementary. The smiles and joy Brutus brings to either an 80 year Alzheimer’s patient, or a 6 year old child in a wheelchair is why we continue to enjoy our therapy work. It is a wonderfully rewarding, and fun way to give back! My name is Karen Howell, I've been a member since 2012. I truly love being a therapy dog volunteer. I have two collies, Shaunessy who is 7 years old and Jedadiah who is 5. We visit Mercy Anderson Hosp, Clermont Mercy Hosp., Hospice of Cin, Georgetown Veterans Home and we have a read program at the Mt Orab library. I do fit my full time job, grandchildren and ailing mother in there as well as my church. I'm also one of the newest Team Evaluator and I truly thank you for trusting me with that honor. Thank you for all you do TPGC!!! This is George Kent, retired professor, government administration, not-for-profit CEO and perennial volunteer. With two standard poodles, Bisou age 4 and Phaedra age 13, I have been involved with pet therapy for seven years. During this time, we have visited hospitals, nursing home, hospice, substance abuse facilities, libraries, special needs facilities, schools and businesses but now we're down to 1/2 day a week at St.Elizabeth Hospital. As anyone involved in pet therapy can tell you, rarely is there an activity as rewarding and fulfilling as working with your dogs to bring pleasure and support to folks who so appreciate your efforts. 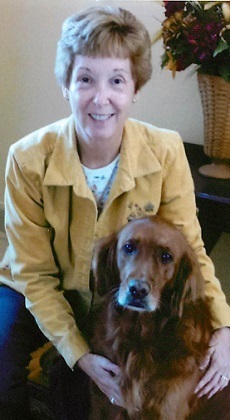 My name is Karen Miller and my therapy dog’s name is Bella. We live in Huntington, WV and became members of TPGC in October of 2016 once Bella passed her Pet Partners evaluation in Cincinnati. Bella is a rescue dog, a loving, 7 year old yellow Labrador. Since joining TPGC, we have visited many retirement homes and have also done a reading program at our library. However, our passion for the broken-hearted has led us to our local Emogene Dolin Jones Hospice House bringing love and comfort to patients and families facing the end-of-life journey. Bella is the only therapy dog presently but the impact of her visits have been so beneficial that I have now been asked to help towards growing the therapy dog program at this wonderful Hospice House! The moments we have shared with families as well as the staff have been amazing. What an blessing it is to be able to brighten up a room full of people in otherwise dim circumstances, as well as, relieve the stress on nurses caring for the terminally ill with the joy and love of a dog! The investment of time and love shared with others is returned a hundred-fold experiencing first-hand the comfort, joy and companionship a dog brings to our families there. I’m so thankful for the opportunity to be involved in pet therapy with Bella! 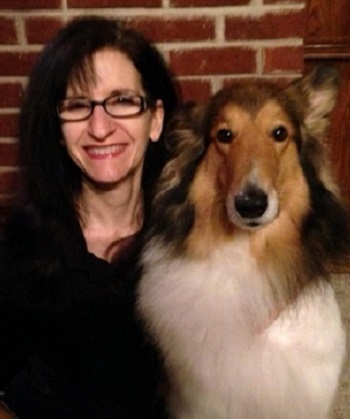 I live in Loveland, Ohio and have been a therapy dog handler since 2012. My employment background is in Information Technology as a Business Systems Analyst, where I defined business users’ technology needs and then designed technical solutions for them. 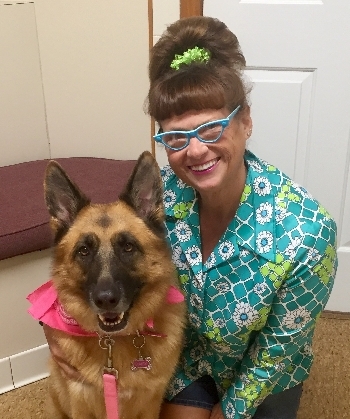 Roxie and I have been a therapy dog team since she was one year old in California, and joined Pet Partners and TPGC after moving to Cincinnati in 2015. We visit schools and participate in their science fairs and many reading programs where children read to the dogs. We also visit assisted living facilities and retirement homes. It is incredibly rewarding to see the immediate and positive effect our visits have on people. 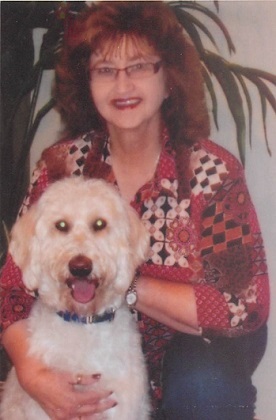 The most memorable times are seeing residents in an assisted living facility’s memory unit, sitting in a dazed and unresponsive state, suddenly become animated and responsive when Roxie approaches as they pet her and speak to her. Another touching moment was when a first grade boy read a story to Roxie, which I later found out was the first time he ever read a book out loud. Therapy dogs touch a special place in people’s hearts and minds and it’s a beautiful thing to be a conduit for that. I love living in the Greater Cincinnati area and plan to live here and do therapy dog work for the rest of my days. Crystal and I have been visiting the Lindner Center of Hope for about 2 ½ years and she is treated like royalty there! 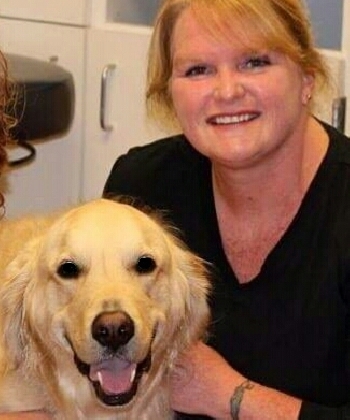 When she visits, the patients sit on the floor and Crystal visits with each person and gives them her special love! If someone new enters the room she is quick to greet them with her tail wagging wildly to put them at ease. Quite often Crystal will want to spend extra time with a particular person and the staff will tell me that person was having a hard day – she just knows when someone needs a little extra love! Finn will be 7 in January and has been a registered TPGC therapy pet since 2012. He is a “Parti Pom” meaning a partial-color Pomeranian. He is considered a “throwback Pom” since he is larger than most Pomeranians, meaning he is closer to his Spitz heritage. He visits Ronald McDonald House, and participates in the Clermont County Library “Barks and Books” program, St. Veronica’s School “Pages and Paws” program, and the Kids Club Special Needs Ministry at Crossroads Community Church. His favorite toy is Lamb Chop, for which he of course has seasonal versions of for each holiday! My registered dogs are Kirby, Fox and Rue Kirby and Foxx go to Shriners Burn's hospital for Children. Childrens Reading events at schools. 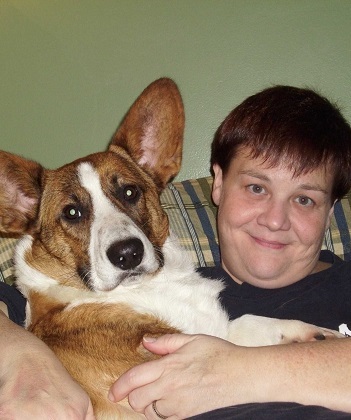 Kirby is a Pembroke Welsh Corgi. Foxx is a Schipperke and he goes to Shriners also. Rue is not exactly fond of little kids but they kids 8 and up. He like so he sometimes goes to Shriners but much perfers active kids. I have been with TPGC since 2002. I have had many dogs in TPGC since 2002. I have done lectures for the workshops on Stress Management. I show dogs and have done obedience, agility, barn hunt, lure coursing, breed competition but the ribbon that means the most me was for Daubie My House Elf with 200 visits. The ribbon is given by the American Kennel Club. When I lost Daubie the North Central and Reading Rd library dedicated a book in his honor. A Dog's Purpose. I started in Children's hospital with Kippie. He was a once of a lifetime teacher for me. He is the reason and the purpose why I serve in Therapy work. He would have had well over 500 visits. He was an excellent teacher. 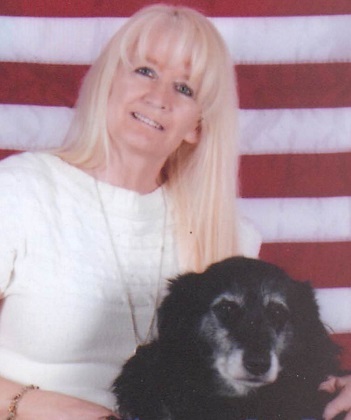 Lexi and I were pet partners creating Lexi Pet Therapy Reading Program at Madeira Elementary School, the Madeira Library and doing Madeira Community events for 12 years that we were members of TPGC. Our reading program serviced @600 students a year. The students became enthusiastic readers On "Lexi Day". Parents were grateful for our program and some parents who had children afraid of dogs became dog owners thanks to Lexi's human-animal bond experience. My name is Karen Spradlin and I am a retired high school and college educator. 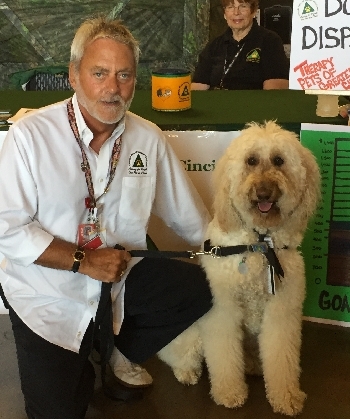 My Pet Partner, Baxter, is a six year old rescued Labradoodle. I have been doing therapy work since 2009. We visit hospitals, nursing homes, schools, mental health facilities, libraries and the Juvenile Detention Center. 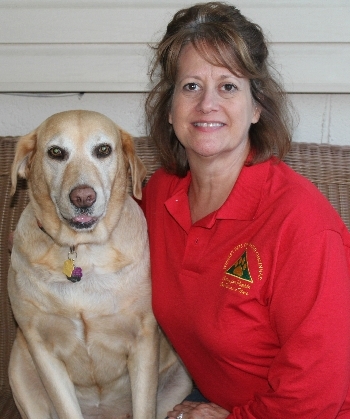 I am a Pet Partners ® Evaluator and Instructor. Last year, after giving a presentation to a group of mental health patients, a lady in the audience said, “Do you remember me?” I stammered a little because I didn’t remember her but before I could answer she said, “Baxter visited me while I was in the hospital. When you introduced yourself and asked if I wanted a pet visit, I told you no. You asked if it was alright for Baxter to pray for me. I thought ‘a dog can’t pray’ so I wanted to see it. Baxter went down on the floor and put his head between his paws and then you said the prayer. I was so moved I told you both to come in. I cried while petting Baxter and I told him that I came to the hospital because I didn’t want to live anymore; that no one cared about me. And then, I told you that I had refused to eat for three days, refused my medication, and just wanted to die. But I looked out my door and there you were……….God sent Baxter to me, his Angel.” I had tears in my eyes because I then remembered. After petting Baxter she rang the nurse’s bell and asked to eat and told the nurse she would take her medication now. A year later she sat in the audience listening to our presentation and looking healthier than when I last saw her. Yes, God works in mysterious ways. He guides our wonderful animals to those who need it the most. I am so humbled by Baxter’s ability to love and in the process, change lives. My name is Alice Sturgeon. I am currently the Secretary for Therapy Pets of Greater Cincinnati. I have been a member since 2010. 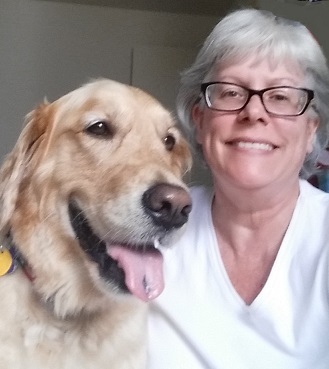 My current pet partner is Luke, a 4 year old Golden Retriever. Our visits include Kings HS, Mason Middle School, Evendale Elementary, Read Program plus numerous special events. Visits from Luke bring smiles, lots of hugs and pets and sometimes tears. Not only do the folks that we visit benefit from pet therapy but the joy of providing blessings to others is heartwarming. 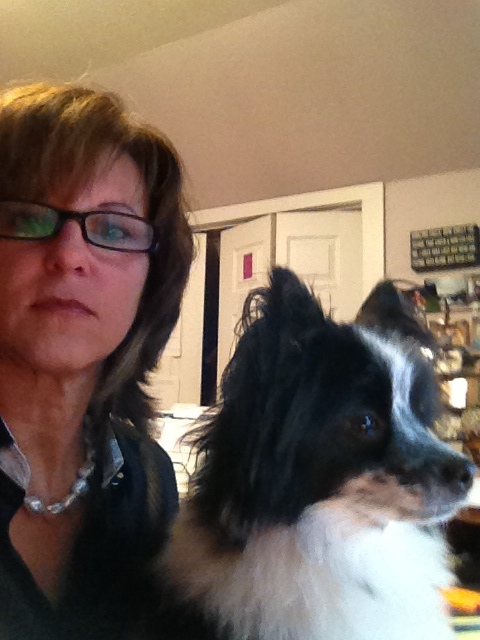 My name is Dee Volante and my pet partner is Bella. She is a 10 year old golden retriever and a rescue from GRRAND. We have been a team since 2014. Bella loves kids of all ages! We visit elementary schools, library events, even high school and college events. We also help with Pet Partners testing. I am assistant and Bella is the neutral dog. I'm writing to thank you for the four lovely volunteers that Jewish Family Service has met because of you. Shay Allison and Isabella, and Ellen Scully and Rowdy have been visiting two of our sites since September. 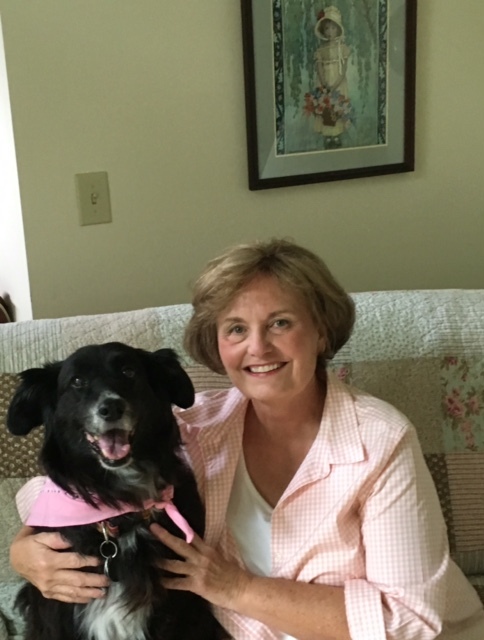 I have tagged along with Ellen and Shay as they work their beautiful dogs to bring a measure of gentle contact to a nursing home and to a group home for challenged adults. They are a pleasure to know and a joy to watch. I just wanted to say a special thank you to you for all that you do for the patients, families and staff here at CCHMC. You bring smiles to so many faces and we truly appreciate you volunteering your time to do so. It has been so wonderful working with you this past year and a half. I wish you the best of luck in all you do and a happy and healthy future. I can't thank you enough for bringing all of the dogs to our school! They were super! If I didn't work full time, I would try to train my dogs (even though I have spoiled them to death...my husband says there's no hope).